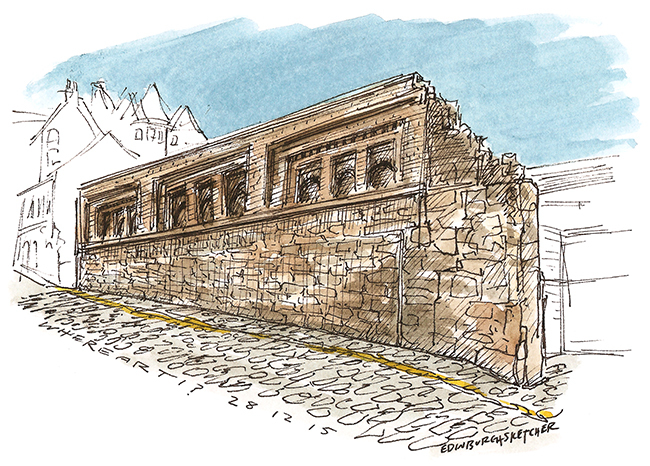 Monday morning and the final WhereArtI of the year, can you find me Edinburgh? Have a great Hogmanay and thank you for all your support in 2015. Much more sketching to come in 2016! There are points on offer for the first three correct answers. Keep an eye on the facebook and twitter throughout the day for clues if they are needed. Answer to come before the end of the day. This is Old Tolbooth Wynd just off the High Street. I used to pass through this alleyway frequently when I worked in the Canongate area. Top marks to @CityCycling @Wilma2207fWilma @0apropos and congratulations to @0apropos, WhereArtI 2015 champion!! Thank you Dunedinhen for your kind comments, I am so glad you enjoy playing along. And I must congratulate you on your hard fought for second place.